Barnsley Town Hall Floral Display 2009 Originally uploaded by stegzy. See how pretty it is? 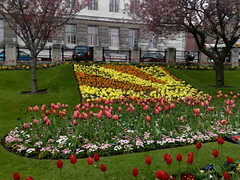 See the how the cherry blossom compliments the tulips?